Today's card was one I found on Pinterest and then changed just a bit. I'm not sure to whom I owe the credit, but Thank You! 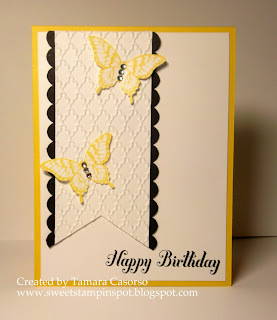 This is probably my favourite of the Stamper's Dozen Birthday card class I did this year. The colours are Daffodil Delight, Whisper White, and Basic Black. The scallop border punch adds a border for the whisper white pennant that's been run through the Big Shot with the Fancy Fan TIEF for that gorgeous texture. 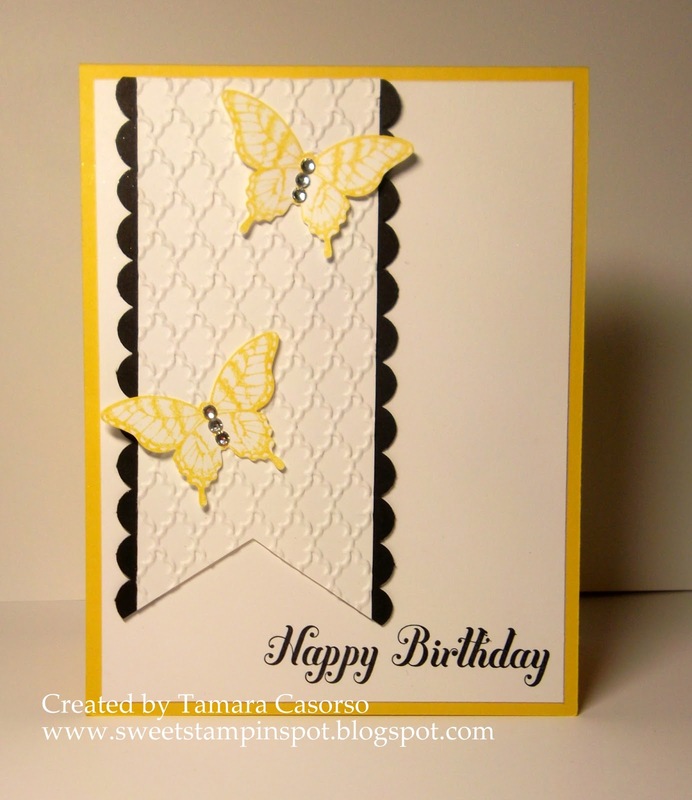 The butterflies from Papillion Potpourri were inked in Daffodil Delight and then punched out using the Elegant Butterfly punch. A trio of rhinestones lends them some "je ne sais quoi". The sentiment is from Bring on the Cake. Hope this brightens up your Friday!